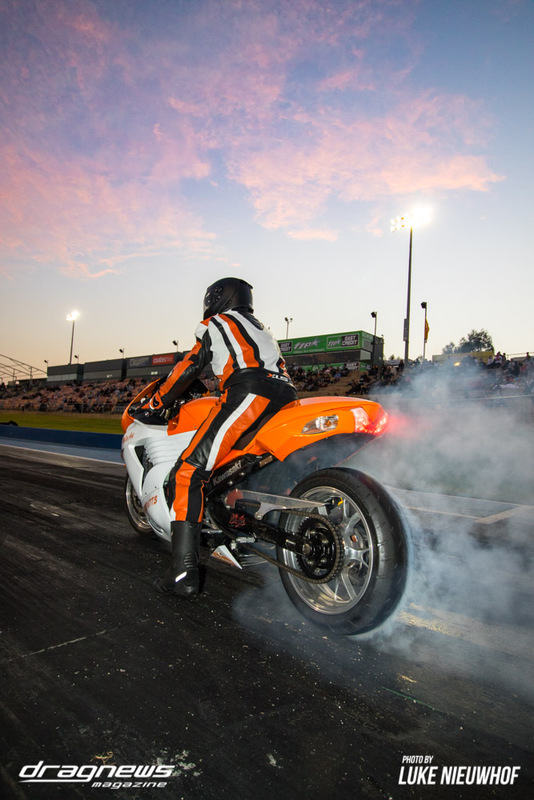 John Zappia defeated Daniel Gregorini in the final round of the Summer Slam as part of the WA Drag Racing Championships at Perth Motorplex on Saturday night. Zappia used a 5.70 pass in his Holden Monaro to get by Gregorini’s Camaro after Gregorini took the early lead. After disappointing results in the 400 Thunder Series a week previous in Sydney, it was a solid day all around for Zappia who top qualified with a 5.77 second run and ran the quickest time of the event, a 5.66 pass in the first round of racing. The honourable mention in the Top Doorslammer ranks had to go to Steve Aldridge, who finally cracked his first five second run after many years of trying. A 5.91 second pass in his Crown Security Plymouth was a fitting reward for his long efforts to join the front runners of the class. Top Comp was all about Sam Treasure in the Hemi Express. Treasure notched a new personal best time of 6.03 seconds to top qualify in the class before using a 6.07 in the final round to defeat Al McClure. Super Comp saw Errol Quartermaine in career form, running underneath the national record with a 7.62 second pass under DD/Gas classification. Quartermaine defeated Ralph Lewis’ Ford Mustang in the final round. Competition Bike was short on numbers but big on quality. Reigning champion Phill Paton proved too good in the final, defeating Ryan Learmonth. 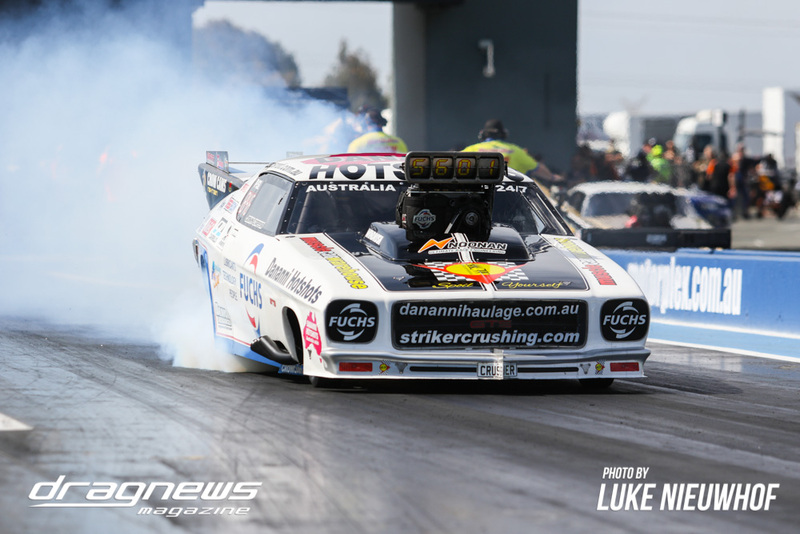 Variety was the order of the day in Outlaw Radial, with everything from turbocharged Holden Rodeos to nitrous-assisted Valiant Chargers taking part. The final round came down to Wayne Smith and Goran Kojic, with Smith taking the victory. Chris Roe scored a win against Alby Bakranich in Top Sportsman, Angelo Locantro got lucky against Jeff Acton who broke out in Modified, Mick Fenton defeated Laurence Adamos in Super Sedan, Paul De Klerk got by Brian Hotker in Modified Bike and Joel Trotman took out Lee Watson in Super Street. 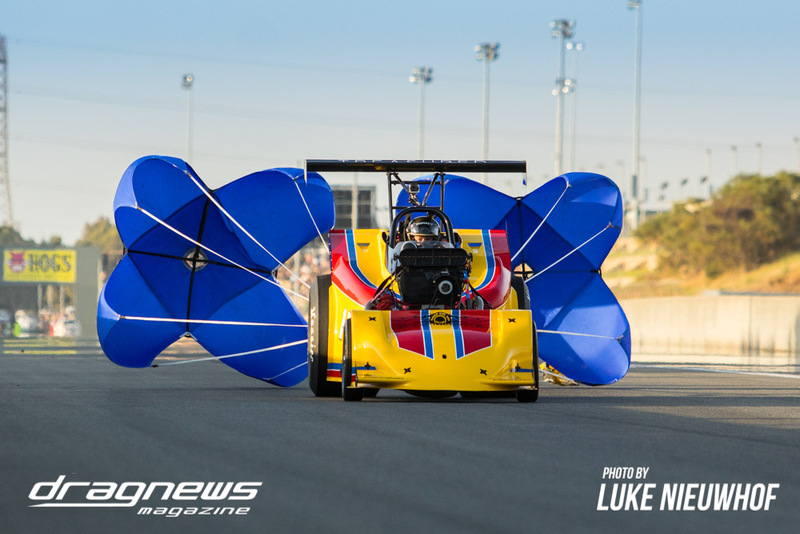 WA’s fastest drag racers return on December 1 for the 45th Annual Goldenstate Championships.